BERKELEY, California, September 9, 2015 (ENS) – Scientists have learned how to produce liquid fuel by creating artificial plants that make gasoline and natural gas using only sunlight – a process called synthetic photosynthesis. These fuels can be used to run cars or heat buildings without emitting any greenhouse gases. 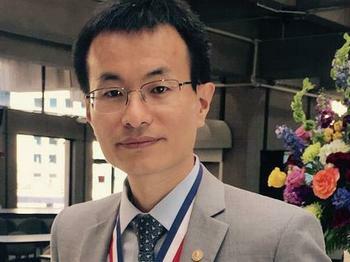 Peidong Yang, a professor of chemistry at the University of California, Berkeley and co-director of the school’s Kavli Energy NanoSciences Institute, leads a team that has created an artificial leaf. The leaf produces methane, the primary component of natural gas. To accomplish this, Yang and his colleagues used a combination of semiconducting nanowires and bacteria, according to their paper describing the research in the online edition of the journal “Proceedings of the National Academy of Sciences” in August. The process leads to synthetic photosynthesis, a type of solar power based on the ability of plants to transform sunlight, carbon dioxide and water into sugars. Instead of sugars, synthetic photosynthesis seeks to produce liquid fuels that can be stored for months or years and distributed through existing energy infrastructure. The scientists’ first system employs long nanoscale filaments called nanowires to turn sunlight into electrons, which bacteria use to convert carbon dioxide, CO2, and water into complex chemicals. In the second system, nanowires generate electricity that splits water (H2O) into hydrogen and oxygen. 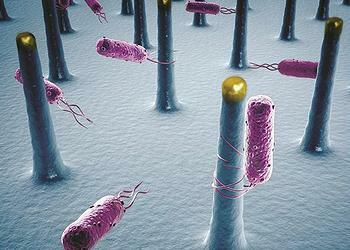 Bacteria then combine the hydrogen with CO2 to form methane, the largest component of natural gas. Yang was joined at the roundtable by Dr. Thomas Moore, a professor of chemistry and biochemistry and past director of the Center for Bioenergy & Photosynthesis at Arizona State University. He is a past president of the American Society for Photobiology, and a team leader at the Center for Bio-Inspired Solar Fuel Production. Moore explained the need for the team’s artificial plants. “In order to create sustainable, solar-driven societies, we need a way to store solar energy. With solar cells, we can make electricity efficiently, but we cannot conveniently store that electricity to use when it is cloudy or at night,” he said. “If we want to stockpile large quantities of energy, we have to store it as chemical energy, the way it is locked up in coal, oil, natural gas, hydrogen and biomass,” Moore said. The third roundtable participant was Dr. Ted Sargent, professor of electrical and computer engineering at the University of Toronto where he is vice-dean for research for the Faculty of Applied Science and Engineering. Sargent holds the Canada Research Chair in nanotechnology and is a founder of two companies, InVisage Technologies and Xagenic.